Embarking on an African art safari is the perfect opportunity to learn and improve your creative skills, while at the same time enjoying the camaraderie of other wildlife lovers and the pleasure of being outdoors in the African bush. 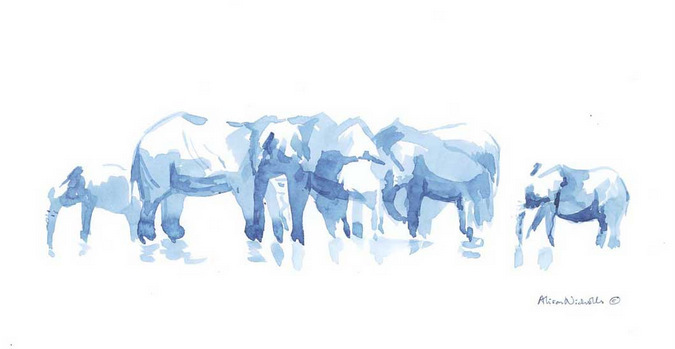 And what better way than under the professional guidance of wildlife artist Alison Nicholls. Alison provides a unique take on the traditional safari by accompanying guests on Art Safaris into Big 5 reserves in South Africa, arranged through Africa Geographic Travel. Regardless of your skill level and experience, Alison will improve your technique and teach you to sketch wildlife quickly and confidently. 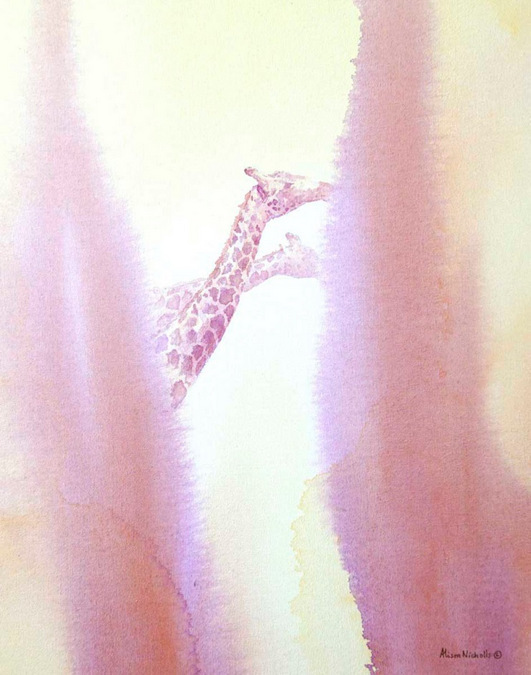 Recently, Alison released her Africa 2018 watercolours. All of the work was completed during her travels in September. Some were created with pen and watercolour, others with pencil and watercolour, while some were painted directly in watercolour with no preliminary drawing. These pieces of art, some of which are featured here, are for sale, and 25% of all sale proceeds will be donated to African conservation organisations. 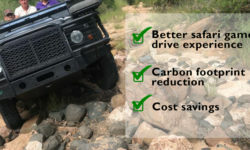 For more information take a look at the gallery here. 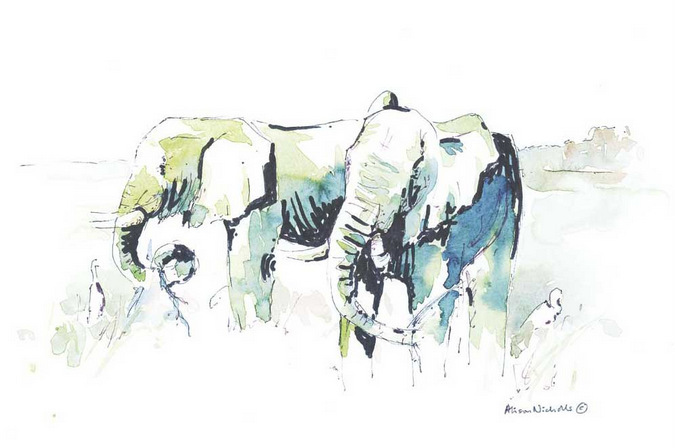 For Alison, Africa inspires her art in ways unmatched by any other place. 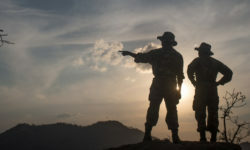 Africa is a continent of diverse people and cultures, huge cities and dusty villages, vast deserts and thick forest, hot swamps and cold highlands, along with some of the most iconic wildlife species on the planet. Field sketching is the most important aspect of her art. It requires confidence and speed and has taught her incredible lessons. 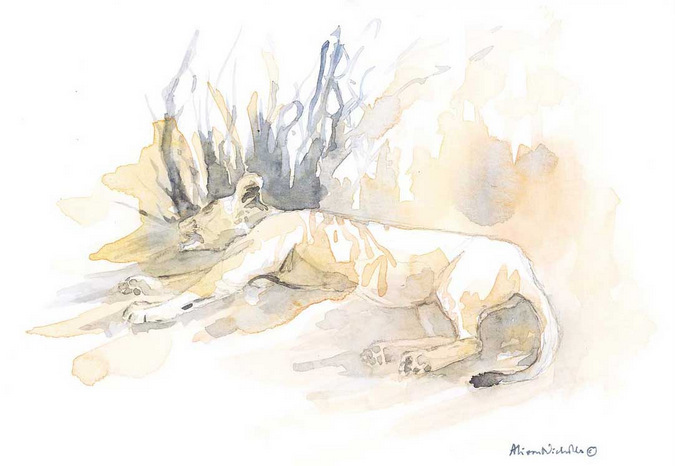 When sketching out in the bush, she usually works in pencil or pen first, then adds watercolour later in the day, from memory and imagination. She uses a small field box set of watercolours and two or three brushes. Everything (except her sketchpad) fits in a long pencil case. 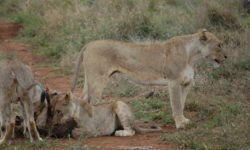 As her compositions are mainly wildlife, she needs to work very fast and make decisions about light and composition quickly… unless she comes across a sleeping lioness in the open. 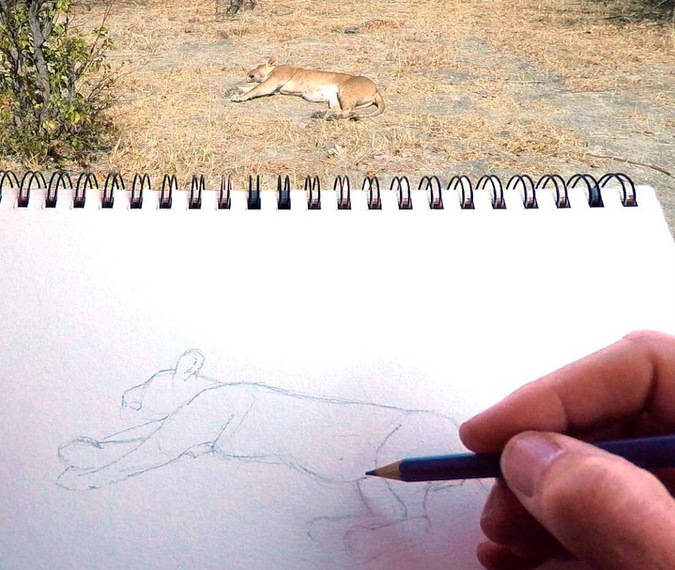 Alison says that sleeping lions make for very co-operative sketching subjects. 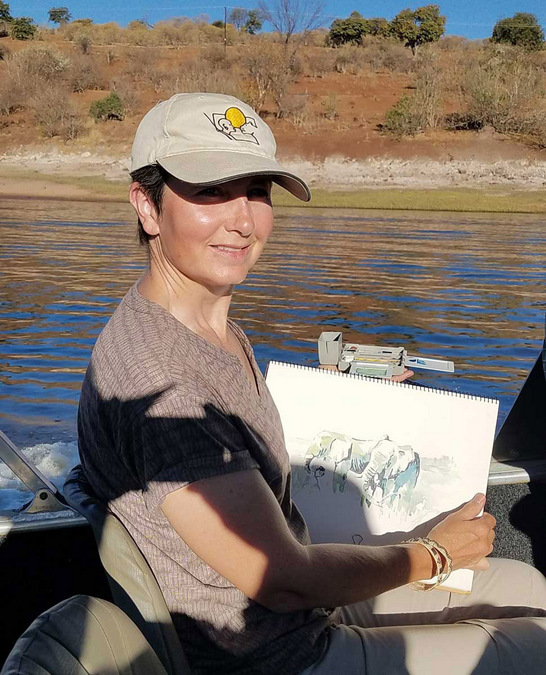 In addition to being great fun, field sketching allows Alison to meet fascinating people, and has given her a great understanding of wildlife anatomy and behaviour – the best way to improve one’s artistic skills! Back in the studio, Alison creates paintings that are inspired by her field sketches. The paintings consist of multiple layers of transparent colour which she uses to both obscure and reveal the subject of each piece. 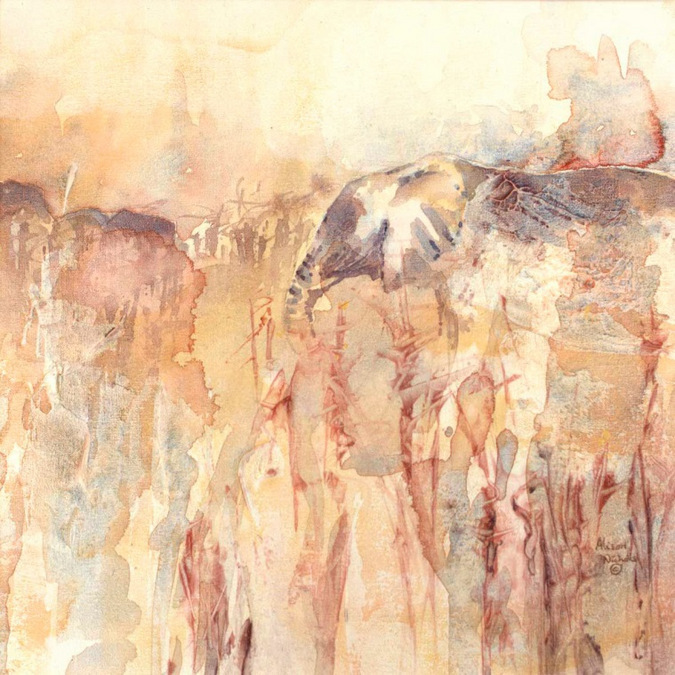 Building up the layers allows her to create effects of light, dust and heat, but she uses colour to convey a mood or a time of day, not to mimic the colours of nature. In order to create a tranquil atmosphere, she eliminates unnecessary detail from her compositions and often uses a limited palette of colours in which people and animals go about their daily lives, undisturbed and unaware of the viewer. 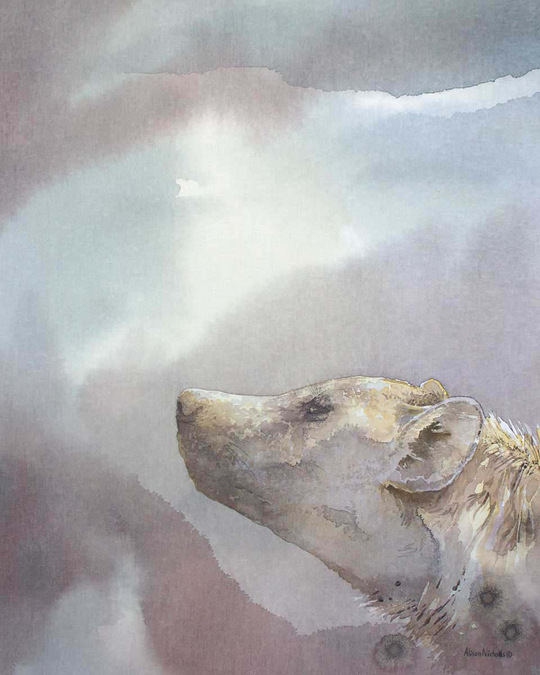 Alison Nicholls is a signature member of Artists For Conservation and the Society of Animal Artists, a member of the Explorers Club and an artist member of the Salmagundi Club. 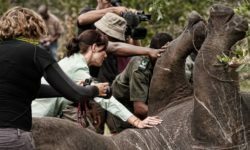 Her art has been widely exhibited and she has been leading Art Safaris in South Africa for Africa Geographic since 2011. She frequently lectures about art, Africa, wildlife and conservation and makes a donation to African conservation organisations from every sale of her work. She is English by birth but lives near New York City with her husband, Nigel, and German Shepherd dog, Chase.